Chelsea Leventhal (Born 1985 in Berkshire County, USA) is a sound artist and composer of electroacoustic music based in Berlin, Germany. Her pieces engage the reanimation and articulation of space, perception of auditory archetypes and creation of sonic allegories, taking the form of multi-channel electroacoustic compositions, large-scale site-specific sound installations and sound objects involving kinetic components. She has received commissions from organizations such as ZKM in Karlsruhe, Pépinières Européennes pour Jeunes Artistes in Paris, id11 in Delft, Kultur Mitte in Berlin, and the Wittener Tage für neue Kammermusik. 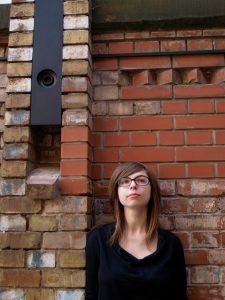 Her works have been presented at IRCAM, the Inventionen Festival, MaerzMusik Festival, the Academy of the Arts in Berlin, the New York City Electroacoustic Music Festival, and other diverse locations in Europe.